Paying attention to online ads can be tiresome, as the growth in ad-blocking software will attest. 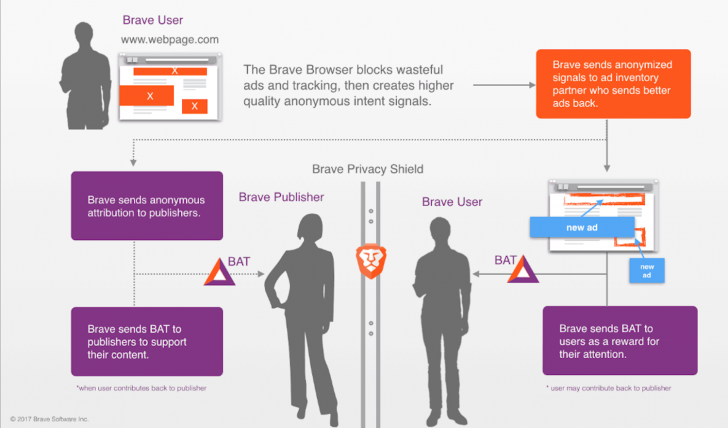 To tackle the issue, the web browser Brave today revealed a new way to incentivize web users to do just that: by removing the ads and providing the option to get paid for switching them back on. Already, Brave has unveiled a bitcoin payments solution that divvies out an amount of bitcoin allotted by the user to their favorite websites – a gesture of goodwill for the valuable content they consume in an ad-free environment. Now, Brave is expanding that service with the launch of a new ethereum-based digital advertising platform built from the ground up, to be backed not by gold, or mining power, but its users’ attention. Notably, perhaps, it’s not just Brave that will be able to use the platform, as its code will be published on Github and made available under an open-source license. The digital token that fuels the network is called a Basic Attention Token (or BAT), and is scheduled to be released later this year in a sort of ‘air-drop’ to those signing up, as well being apportioned to investors and the Brave team. Further, Eich said that, with the token launch, Brave intends to “actually give users a take; we stake them with tokens almost like a mini basic-income grant”. Rolled out in phases, the Basic Attention Token is designed to cut out third-party advertisers that create data-heavy browsing experiences and slow down search and download times, while fueling an ecosystem of transactions between users, publishers and advertisers. A white paper published discreetly yesterday describes how cutting out the middlemen can lead to new efficiencies for each of the participants, and potentially expanded margins for the business counterparties. Already, Brave has been testing that theory since October of last year by letting its users pay publishers they like in bitcoin in exchange for the ad-free browsing experience. The browser was initially publicly attacked by members of traditional media for its promise to block their ads. But, last year, Eich went on a road trip in an attempt to reposition the product as a way to regain ad revenue that was already being lost to other services. Publishers can follow a few steps to prove they manage a website that creates original content and, in exchange, collect bitcoin their users have set aside for them. But the Brave Ledger itself, which underlies the browser, remains a centralized component of the user experience. The ledger provides a cryptographically protected way to measure user engagement within the browser without divulging a user’s personal information. At the end of each month, bitcoin is doled out to the top-five most visited sites based on the browser’s preference. By integrating the service with an ethereum-based network, Eich says Brave will take the first steps towards completely decentralizing the offering. “Over time you can move from the centralized Brave browser to a decentralized system,” he said. As a result of launching BAT on the ethereum network, rather than the Brave ledger, is that it will be open source, meaning anyone will be able to build on it. 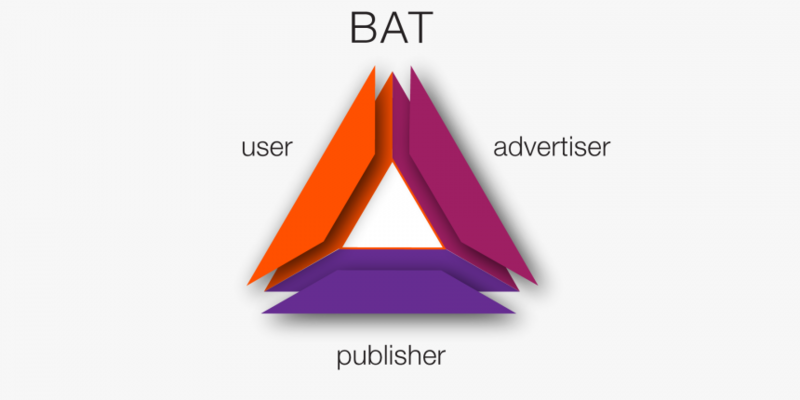 At the time of the initial roll-out of version 1.0, a BAT wallet will be integrated with the Brave browser, with verification and transactions handled by the company’s own ledger. Later versions will fully transfer the verification process to ethereum, making it more difficult for the browser to be shut down. Although Brave is still, in effect, a middle-man – taking a share of the ad revenue – publishing the code to its Github page has the potential to lead to an ecosystem of ethereum-based browsers and other products based on attention that pay out micro-transactions in a variety of ways. But the process of moving to ethereum does not amount to an endorsement of the network’s underlying token. Instead, Eich says Brave payments will continue to support bitcoin, and other currencies might one day, too, be added. To facilitate the open-source, blockchain agnostic paradigm, Eich says his team is currently exploring using Zcash’s cross-chain atomic transactions (XCAT) – a feature expected to be rolled out in the near future and being designed to let multiple blockchain interact. Disclosure: CoinDesk is a subsidiary of Digital Currency Group, which has an ownership stake in Brave.